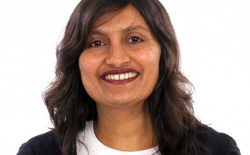 You are here: Home / Monsoon Memories / Renita D’Silva: Why India? Picture this. You are walking down the dusty road to your childhood home, your mother by your side, laden with bags of food pressed into your hands by the friends you have just visited- their way of showing their love. The relentless sun beats down on your back, soaking your clothes; and your hair sticks to your head and neck in wet clumps. The lake shimmers velvet blue and the frogs sitting on lily pads serenade the flies they are about to eat for lunch. You chat to your mum, there is so much to talk about, a whole year of news to exchange. Your hands chafe from the bags, the sweat pools in your armpits and you think longingly of sitting under the ceiling fan in your childhood home with a bottle of something cold by your side, that is if the power’s on, which it most likely isn’t. ‘Write about what you know’ is the advice all the books on writing give you. And so I did. I know there are many books out there about India, but I wanted to write about the India I have known and experienced, my own personal slice of this land of contrasts, of searing heat and furious monsoons, of the generous warmth of its people, who will welcome you in and share the rice they are about to eat even if they don’t have enough to go around. Monsoon Memories is about this India, the India I have lived and experienced and wanted to share, the India I know intimately. Join in on the ride. I promise you, you’ll enjoy it. Wonderful. Proud of you. Proud to be Irita’s friend. Irita might be proud of you as well. Nice excerpt…Waiting to read the book. Congratulations Renita. Haven’t seen cobras in gunny bags and don’t want to, seeing a python was trauma enough…:-) Thank you for this lovely comment. It makes me wonder, I remember my first–and so far my last–visit to my home country, Somalia, and I still can recall the image of the “flying spiders” that seemed to love to torture us at night–even though ten years have elapsed from that trip! 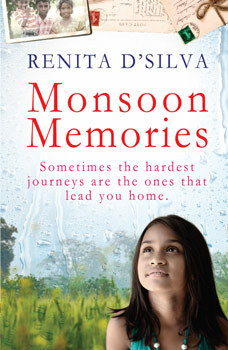 Anyways, I’m looking forward to reading ‘Monsoon Memories’ come June! All the best, Renita–and I love this clean layout. Props to Bookouture! 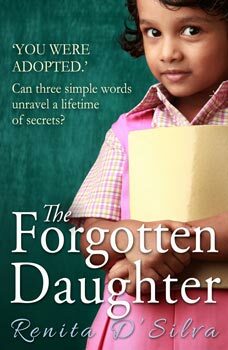 Yes Bookouture have done a great job on the site, they’ve been wonderful, am so lucky to have them publish my book. Congratulations Renita!! and wish you remarkable success!! Look forward to reading the “Monsoon Memories” from cover to cover and enjoy the splendid showers, drizzels and experiences of the Monsoon in India… 🙂 God Bless you my dear. Hi Renno, U know i usually dont read the books but when I started reading this, my curiousity increased to know what next started imagining how you would have faced when you saw phython felt as if I also jumped along with you :)… Just lost into that beautiful world..